There has been a paradigm shift in the field of psychology. We've been wrong in our understanding of motivation and behavioral change. 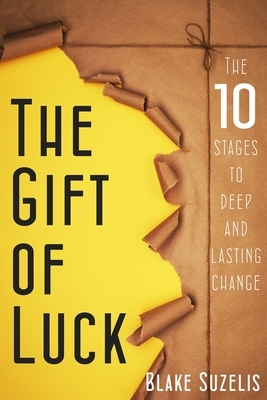 The Gift of Luck reveals a new, holistic understanding of change offering new skills and techniques found in current research and ancient wisdom. This model frees you from focusing on who you are not and allows you to focus on whom you want to be, rewiring your motivation.The beauty and power of what you choose to learn from life will impact you to the depths of many generations to come. When you decide to spend time growing in knowledge and wisdom, it is time you will never regret and always remember. Join the adventure that is bigger than yourself, begin a movement of change within and around you as motivation multiplies, rewrite the next chapter of your story, and watch the world change for good In the end...many will call you Lucky.